The Arcadia Music & Arts Symposium is an annual summer session hosted by the Arcadia Unified School District Band Department. This exciting, integrative experience brings music industry professionals together with middle school and high school band students. The Foundation is a proud supporter the Symposium, and invite you to visit https://www.arcadiasymposium.com for more information! Hosted by AEF. Presented by APAF. 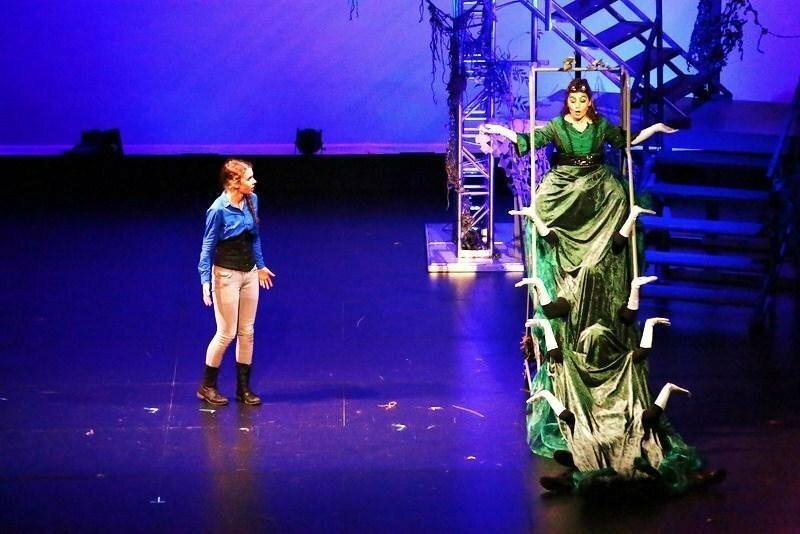 Fully-staged production of Alice In Wonderland teaches students of all experience levels fundamentals of performance such as character development, movement and dance, diction, song, and fight choreography. Hosted by AEF Summer School, the Arcadia Performing Arts Foundation is proud to produce and promote this exciting opportunity for middle school students. AEF Summer school registration is open now at https://www.arcadiaedfoundation.org﻿! State funds are not sufficient to support all the programs students need. Due to funding gaps, the school district is not able to offer K-8 theatre pipeline. To help bridge the gap, the Foundation established the Theatre Arts Academy. The summer program at AEF is open to middle school students. In July 2019, Theatre Arts Academy students will perform Alice in Wonderland! Thank you! A representative will get back to you soon!